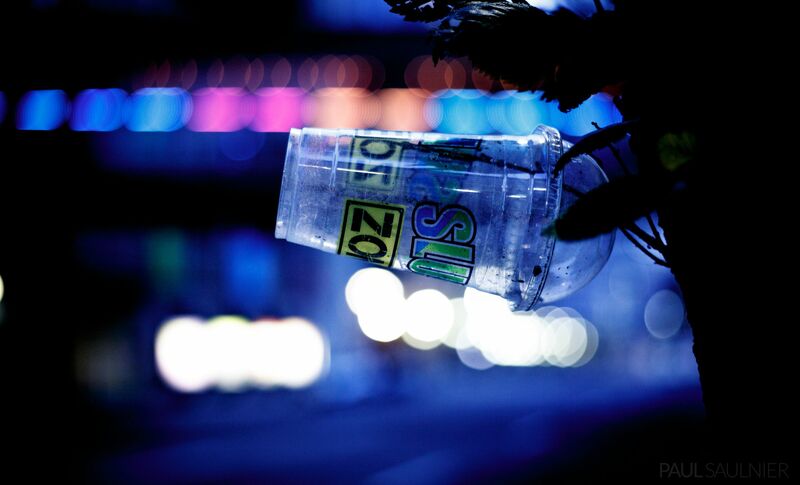 I’m not usually a fan of garbage being thrown in public places, but this one piece was OK with me (temporarily). It has since been removed. It’s hard to believe that the Arts Commons building, with its beautiful architecture and distinctive columns was almost demolished back in the 1970’s. This building in Victoria Park has been empty for 6 years, judging by the sign. 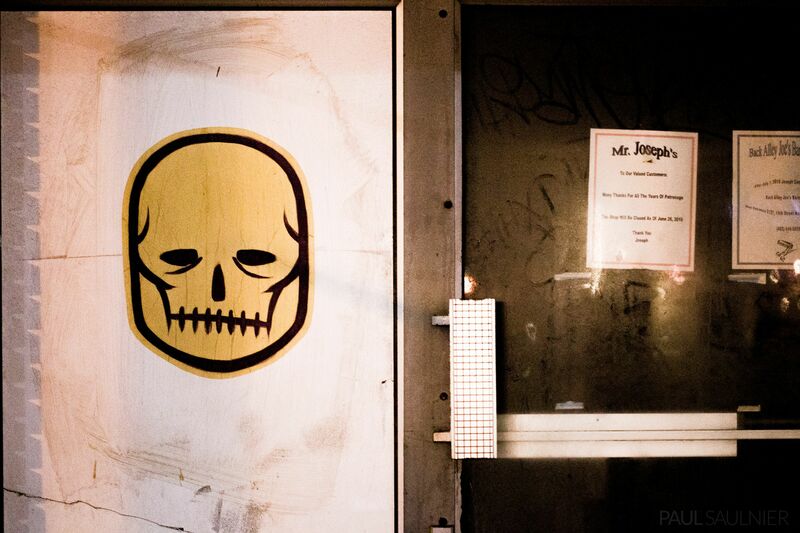 It seems like the owner is waiting for a good offer to redevelop the land. I love this photo because of the many small details, comprising no fewer than 4 modes of transportation. 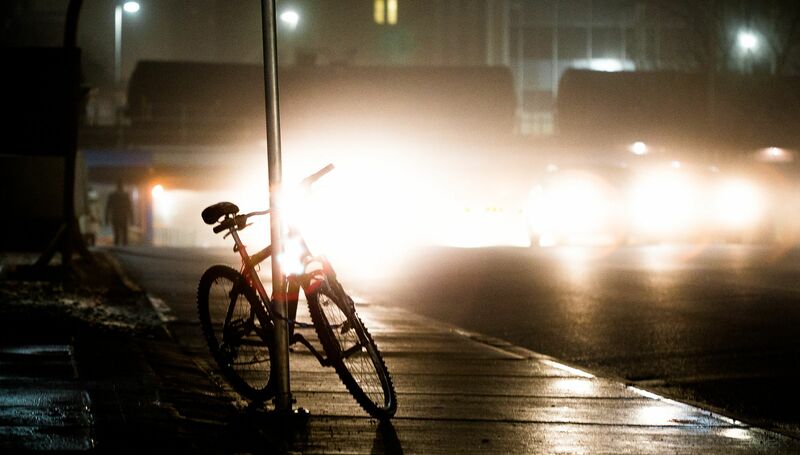 At first, you’ll likely notice the bicycle and bright headlights of cars. There is also a person in the distance, and a train passing by as well. 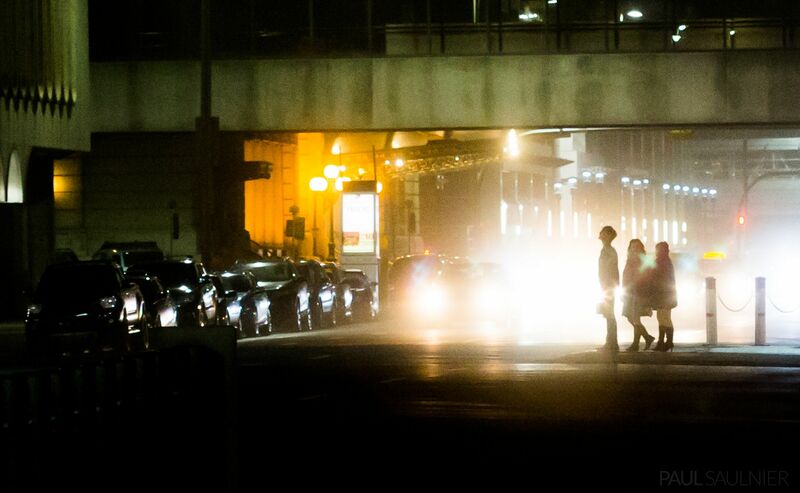 The glow of headlights creates silhouettes of the pedestrians. 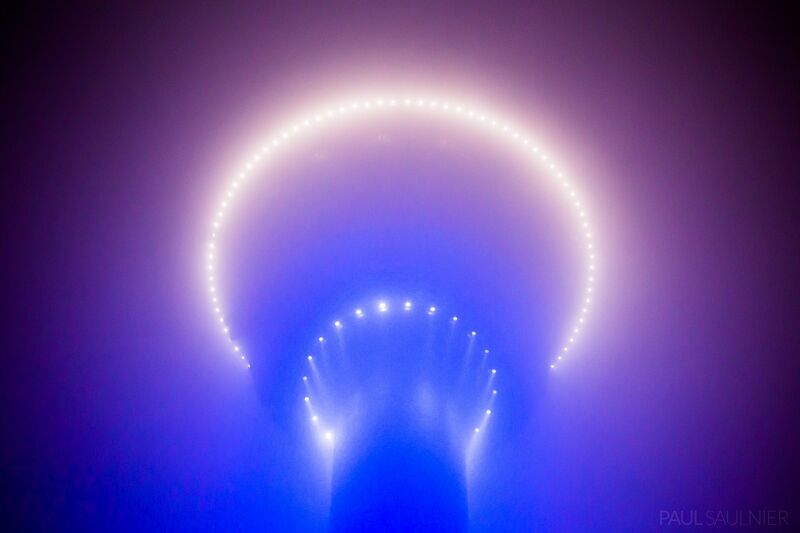 The Calgary Tower seems to resemble an alien spacecraft through the fog. Calgary’s landmark tower changes colour every day, often in recognition of special events or causes. It did not glow orange for the U.S. presidential inauguration.